In a Journal of the American Medical Association Viewpoint article, Carnegie Mellon University’s George Loewenstein and the University of California, Los Angeles’ Ian Larkin outline the problems associated with the fee-for-service arrangements that most doctors currently operate under. Such compensation schemes, they argue, create incentives for physicians to order more, and different, services than are best for patients. 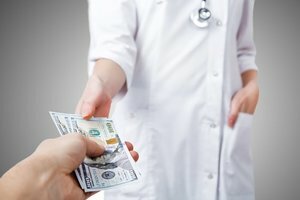 Loewenstein and Larkin argue that the simplest and most effective way to deal with conflicts caused by fee-for-service arrangements is to pay physicians on a straight salary basis. Several health systems well-known for high-quality of care, such as the Mayo Clinic, the Cleveland Clinic and the Kaiser group in California, pay physicians salaries without incentives for volume of services performed. Loewenstein and Larkin also led a research study in the same issue of JAMA on how restricting pharmaceutical sales representatives’ marketing tactics changes physician prescribing behavior. I worked at Medway Hospitals Kumbakonam , TN. They promised Rs.80000/ pm. They also promised extra for extra hours of duty . After joining duty they gave written order for Rs.60000. But paid Rs.50000/ pm . refusing to pay even salary for the worked month. This is happening to all doctors. What is the solution? Provided the salary is commensurate with the efforts put in. Usually the doctors are exploited in salary. Once fixed at a certain level, no increments are given. They would rather change the clinician than giving a raise. The needy are ready to come at a lower price. Good idea, provided the salary is just, based on qualifications, experience, competance, compensating for inflation, etc. Each system has pros and cons. Fixed salary without incentives has its own shortcomings. Limiting the number of patients per doctor is one of them. Not practical for long patient queues and paucity of competent doctors.